Top 10 Carols To Attend This Christmas! Ah Christmas, how we love you. It's the month for spending time with family, eating way too much junk food and shamelessly singing your heart out to all of your favourite Christmas carols. 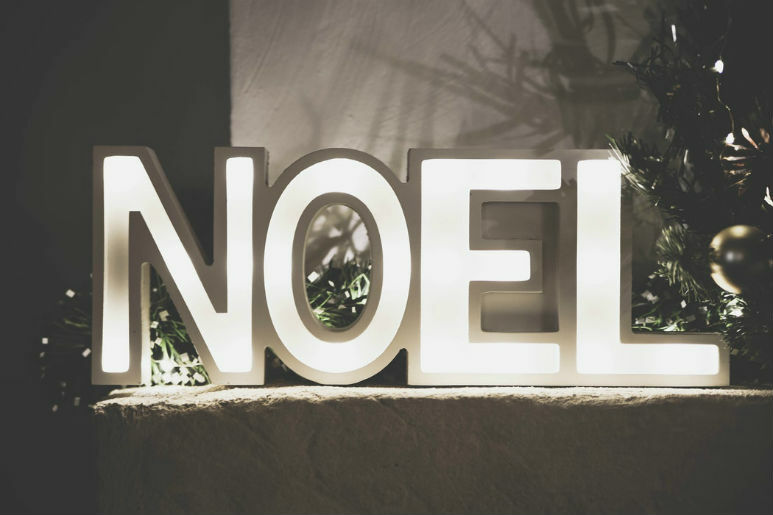 With Christmas just weeks away Carol's events are popping up in just about every park on the Gold Coast, with enough food, fireworks and christmas carols to fill every weekend right up until the big man climbs down the chimney! There's nothing we like more this time of year than packing our camping chairs and heading out to an evening of caroling, so we've found ten of the best Carols events on the Coast to get to this year - Just make sure you're singing along! We often forget about the events going on up the northern end of the Coast, but trust me when I say that the Ormeau Carols is an event that you do not want to miss! Kicking off at 4pm this Sunday, Brien Harris Oval will come alive with food trucks, face painting, free rides and a fireworks display, culminating in one of the biggest annual events in the Ormeau calendar! Get there nice and early and set up your picnic blanket while your kids enjoy the free entertainment, then grab hotdogs, burgers and chips from one of the nearby vendors and settle in for an incredible evening of carols and fun! The carols are also pet-friendly, so no need to leave the puppy at home either! Want to have a smurfing good time? Look no further than the Broadbeach Christmas Carols! Returning for yet another year, the Broadbeach Carols is kicking off at 3pm with plenty of food and kid-friendly fun, with everyone's favourite Smurfs joining the fun at 5:30pm before the caroling kicks off at 6! Hosted by 102.9 Hot Tomato's Flan, Emily Jade and Christo (so you know it's going to be a funny night! ), and including the voices of the Gold Coast Youth Orchestra, Gold Coast Choir, Martin Crewes and Danielle Everett, you'll be singing and dancing all the way to the carpark (which has free parking, by the way) - Just make sure you stay until the fireworks show at the end! If you've never been to Carols On The Green in The Marine Village, you're missing out. Finishing off a full week of Christmas celebrations, Carols on the Green will be kicking off at 4:15pm with plenty of carols and kid-friendly activities, including the annual Rotary Buggy Parade full of all of our favourite characters! Grab some food from one of The Marine Village's many local cafe's before you pick a spot on the grass and enjoy an evening of caroling, with appearances from Santa and Rudolph, as well as a spectacular fireworks display to finish off the night! The Marine Village is also totally pet-friendly, so why not head down early and enjoy some brunch and a day of shopping there while you're at it? The Surfers Paradise Beachfront is the home of many a spectacular Surfers Paradise event, so it's no surprise that their annual Carols On The Beach is no exception! Situated right underneath the Surfers Paradise sign, Surfers Paradise's annual Carols On The Beach is a must-do for anyone living or holidaying on the Gold Coast, featuring plenty of Australian talent and hosted by our own Bruce Paige from Channel 9! Attracting huge crowds every year, if you want to get a space close to the stage we suggest getting there nice and early, otherwise bring your family down for an early dinner at one of the many restaurants nearby before making your way down to the event at 6:30! Who said that Carols have to be on weekends? If you're looking for a way to beat the mid-week blues why not get yourself down to the annual Palm Beach Christmas by the Sea, running from 4pm on the 18th and finishing off the night with fireworks! Bring your kids down to the Parklands and enjoy a relaxed afternoon by the beach, with plenty of food, kid-friendly fun and festivities perfect for scaring away all of the mid-week blues. Got the day off? Why not spend a day at the beach and grab a coffee from Dune Cafe nearby! Gone are the days when Santa showed up at carols by popping out from behind the curtains - At the Coolangatta Christmas Carols Santa makes a serious entrance by skydiving in! Queen Elizabeth Park will come alive on the 9th as merry-makers flock to the annual Cooly Christmas Carols, with plenty of food, face painting and even shopping to keep everyone entertained. Grab a comfy spot on the grass before the main event starts and browse through the racks of the annual Cooly Christmas Markets, then stuff your face with food from the local food trucks and get ready to celebrate all things Christmas! What do you get when you cross carnival games, inflatables, a petting zoo, food and Christmas carols? You get the annual Arundel Christmas Carnival! Hosted by the Arundel Presbyterian Church and running from 4pm to 8pm, you'll find plenty of carnival games, family-friendly activities and good food, with a free BBQ dinner supplied before the carols kick off at 6pm! If you're still hungry or thirsty after the BBQ, you can also bring a gold coin donation along for dessert and soft drink - Because what's an evening of carols without dessert!? Looking for somewhere to go this Saturday? Why not check out the Varsity Lakes Christmas Carols! Hosted right next to Lake Orr, there's no better way to spend an afternoon than enjoying delicious food and singing along to all of your favourite carols, with plenty of food trucks and entertainment there to keep everyone happy! Bring your kids down to visit Santa while you grab a snack and enjoy the music, then finish the night off by watching the fireworks over Lake Orr! We'll see you there! Struggling to make it to Friday? Why not take a break from the working week and relax down at the Burleigh Heads Christmas Carols! Running kids activities from 4:30pm to 6:30pm, you can grab some food and relax in the park while the little ones run wild, then get everyone together to sing once the carols start at 6:30. If you're lucky enough to get the day off, why not make a day out of it and bring your swimmers down to go swimming! We all know and love the NightQuarter for its tasty food, fun atmosphere and constant live music, so we were stoked when we found out that they were bringing back the NightQuarter Carols for another year! Opening the doors at 4pm, treat the family to Cronuts, Ice Cream, Nutella Toasties and more Christmas-themed treats, then make your way down to The Paddock for an incredible night out complete with Rudolph and singing Santa! If you haven't finished your Christmas shopping yet (which, let's be real, most of us haven't), check out NightQuarter's many market stalls while you're there - Full of unique clothing, homewares and knick knacks, you might just be able to get your shopping done all in one night! Happy days!